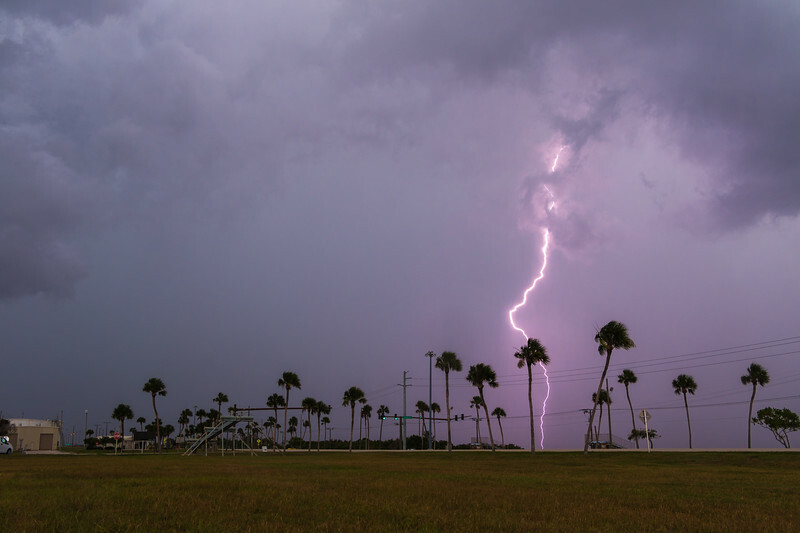 Lightning strikes to the west of Cape Canaveral Air Force Station's South Gate before remote camera setup of the SpaceX Telstar 19 Vantage mission to GTO. 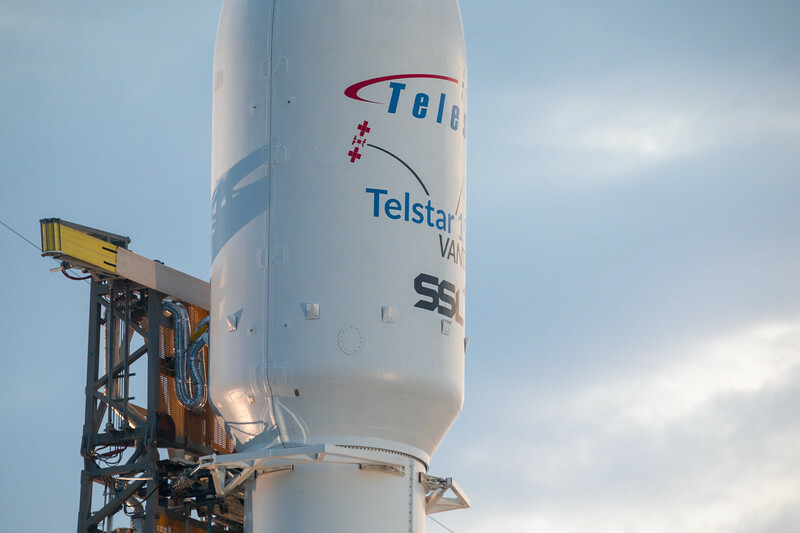 Close-up view of the Telstar 19 VANTAGE payload fairing hours before launch atop the SpaceX Falcon 9 rocket. 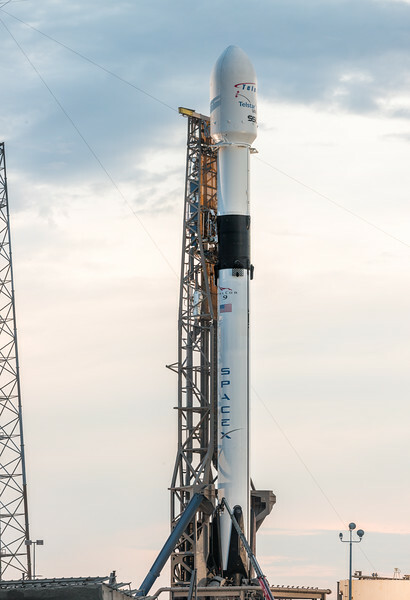 Hi-res panorama of SpaceX's second Block V Falcon 9 standing on SLC-40 at Cape Canaveral Air Force Station. 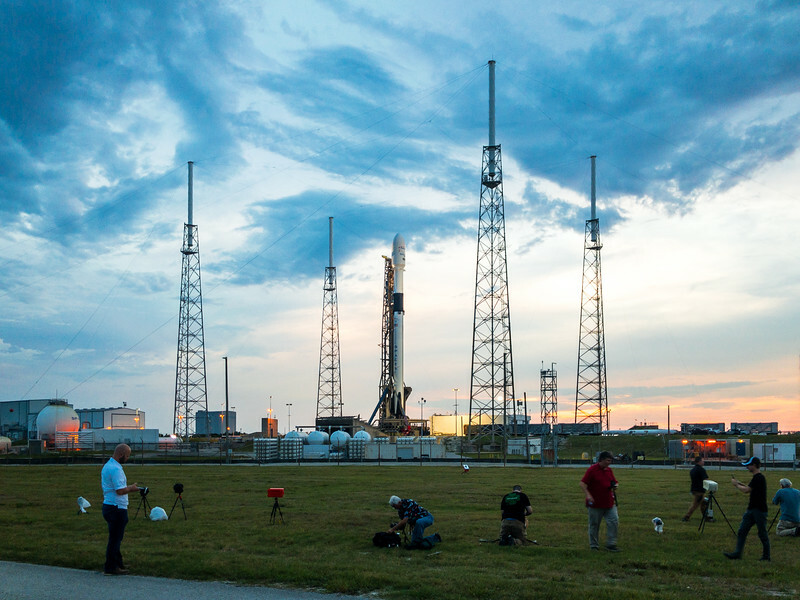 Members of the media scurrying about Space Launch Complex-40 to set up their remote launch pad cameras like chickens with their heads cut off in advance of the Telstar 19 VANTAGE mission. 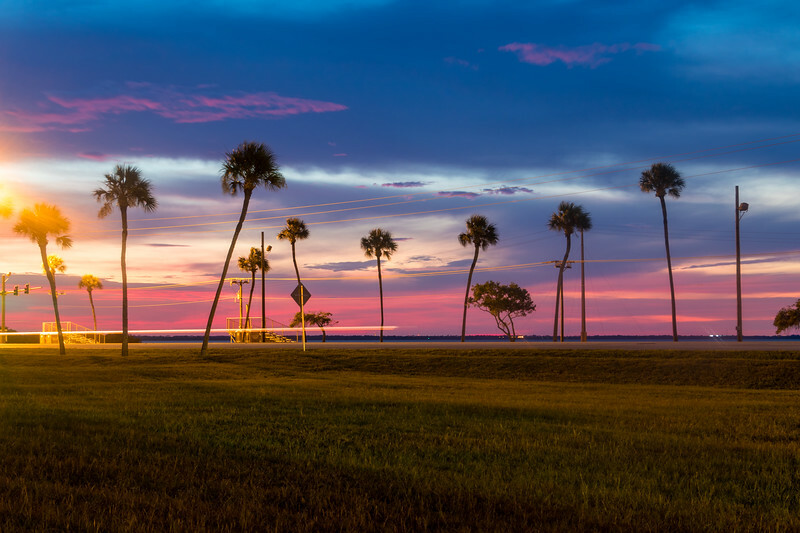 A synthwave r/Outrun-style sunset over the Florida Space Coast. 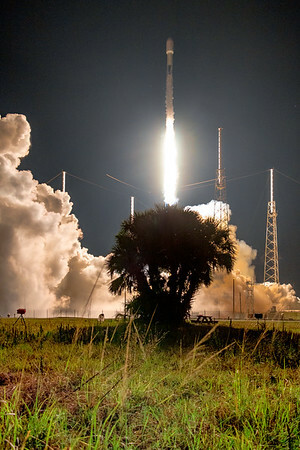 Nighttime...SLC-40 artificial pad lighting illuminates the horizon and up into the sky. 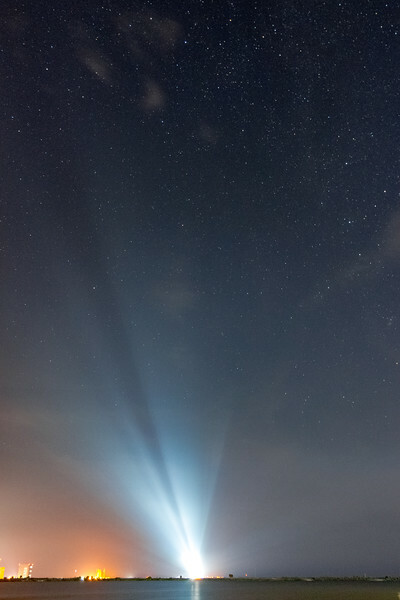 Daytime!!! 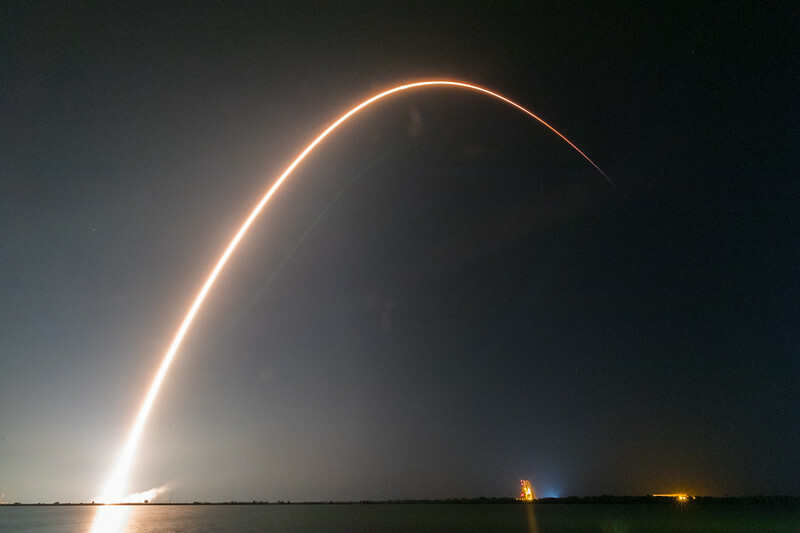 Falcon 9 lights up the night in this long exposure photo. 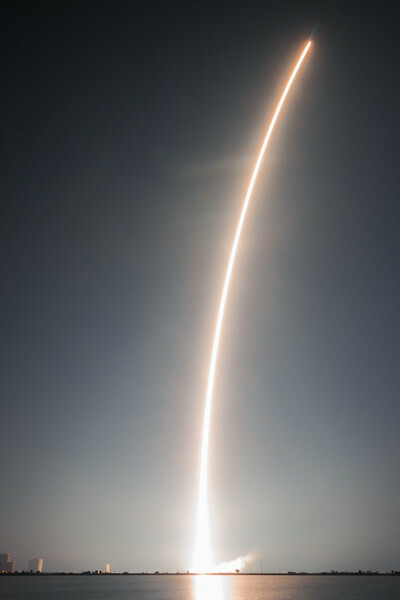 Longer exposure photograph of the Falcon 9 ascending into orbit. 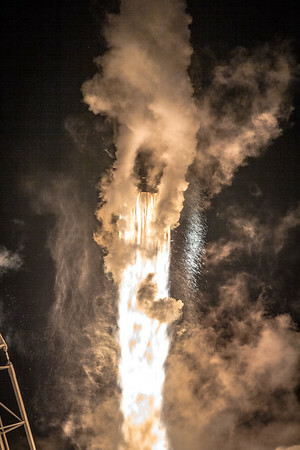 Falcon 9 lifting off from SLC-40, wreathed in condensation from super-chilled liquid oxygen in its fuel tanks. 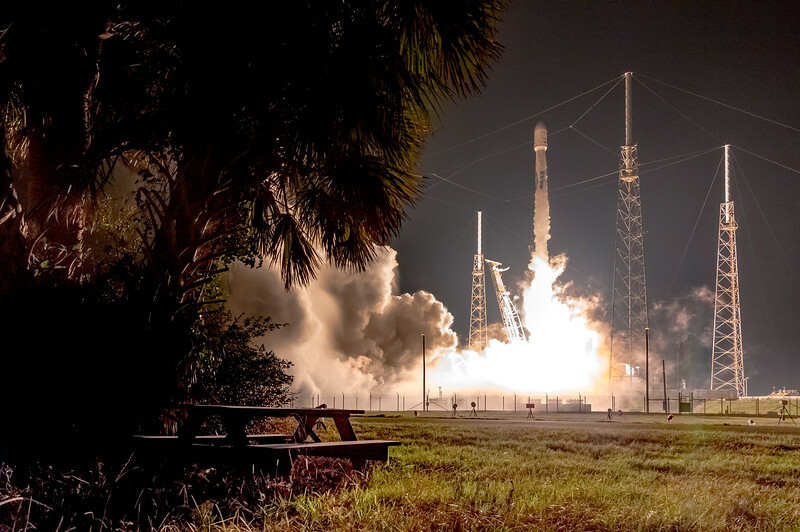 Falcon 9 ascending above a palm tree located on SLC-40, wreathed in condensation from super-chilled LOX (liquid oxygen) and RP-1 (rocket propellant - 1)in its fuel tanks. 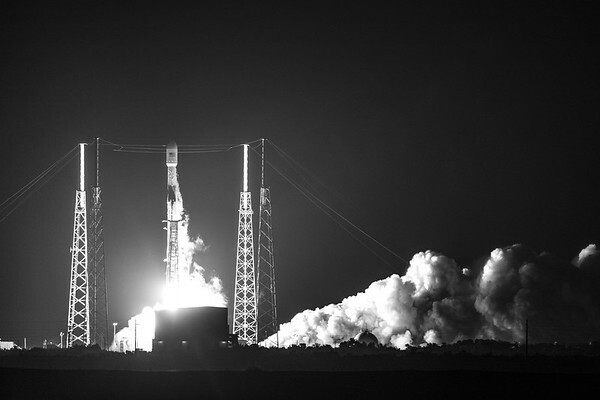 Moody black/white view of liftoff from the ITL Causeway on Cape Canaveral Air Force Station. 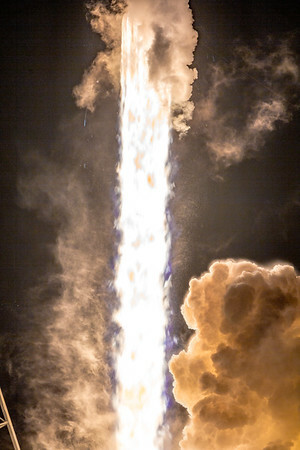 The 2nd Block V iteration of the Falcon 9 rocket (first from SLC-40) clearing the tower. 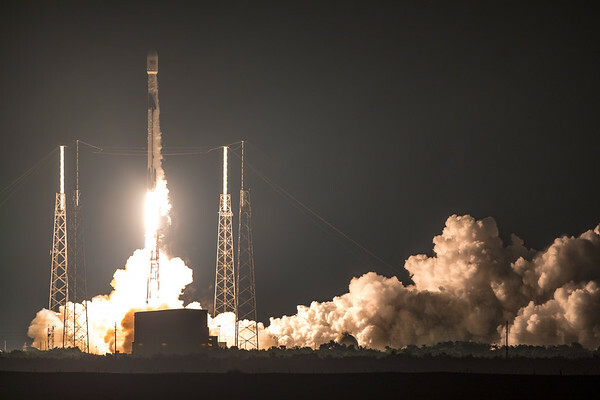 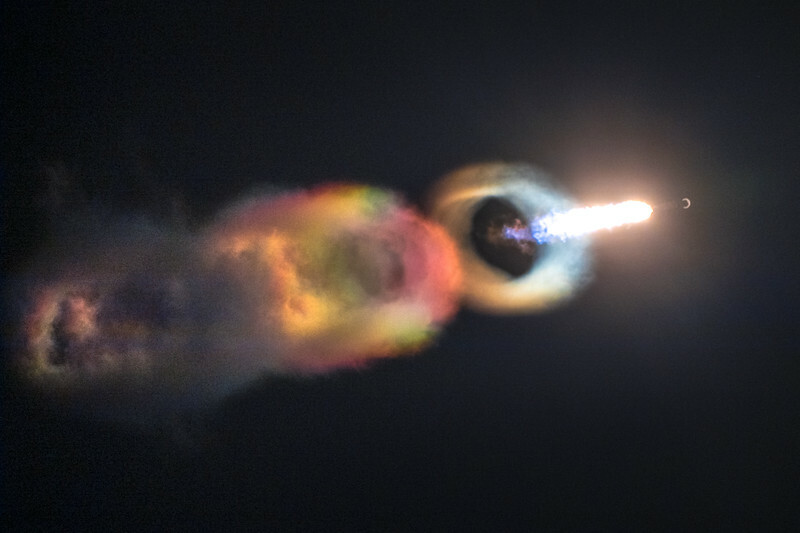 A wicked view of the Falcon 9 nearing the supersonic regime of flight, creating condensation which instantly freezes and luminesces in the rocket's brighter-than-the-sun exhaust.